Take a culinary journey and taste the flavours of the world! This collection of cook books invites you to cook dishes from France, Turkey, Melbourne, the Middle East and more. My mother’s kitchen : New Zealand’s best chefs, bakers and foodies share their mothers’ special recipes. Istanbul & Beyond : exploring the diverse cuisines of Turkey / Robyn Eckhardt ; photographs by David Hagerman. Our Syria : recipes from home / Itab Azzam and Dina Mousawi ; photography by Liz and Max Haarala Hamilton. Joel Serra’s Modern Spanish Kitchen / by Joel Serra Bevin. 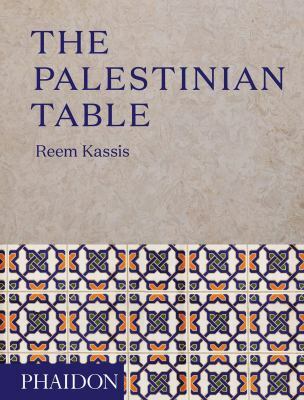 The Palestinian Table / Reem Kassis. The Adriatic Kitchen : recipes inspired by the abundance of seasonal ingredients flourishing on the Croatian island of Korčula / Barbara Unković. I Heart Rome : recipes & stories from the Eternal City / Maria Pasquale ; photography by Andrea Federici and Giorgia Nofrini. Flavours of Melbourne : over 90 restaurants, bars & hotels with their signature recipes. Hong Kong food city / Tony Tan. Tuscany : simple meals & fabulous feasts from Italy / Katie & Giancarlo Caldesi ; photography by Helen Cathcart. You don’t need to be Stephen Hawking to be informed about the latest science when it comes to food. Check out Gastrophysics below, or one of the other books that talk about cutting edge research in what tastes good and is good for you. If the lab isn’t your jam (even the Burger Lab) then the other new arrivals still have you covered. From the urban metropolises of Japan to the Oregon farm, these other books cover the whole spectrum of natural and nutritious home-grown veggies to furious fast food. Badditives! : The 13 Most Harmful Food Additives in Your Diet — and how to avoid them / Linda Bonvie and Bill Bonvie ; foreword by James S. Turner. Gastrophysics : The New Science of Eating / Charles Spence ; foreword by Heston Blumenthal. Thug Kitchen : eat like you give a f*ck : the official cookbook. Scraps, Wilt + Weeds : Turning Wasted Food into Plenty / Mads Refslund & Tama Matsouka Wong. Dishing up the Dirt : simple recipes for cooking through the seasons / Andrea Bemis. Super Grains : cooking techniques and recipes using grains from amaranth to quinoa / Joanna Farrow. Junk Food Japan : addictive food from Kurobuta / Scott Hallsworth ; photography from David Loftus. Amazing Edible Seeds : health-boosting and delicious recipes using nature’s nutritional powerhouse / Vicki Edgson and Heather Thomas ; photography by Yuki Sugiura. A New Way to Dinner : a playbook of recipes and strategies for the week ahead / Amanda Hesser & Merrill Stubbs ; photography by James Ransom. Burger Lab / Daniel Wilson. Making and enjoying healthy meals doesn’t have to be difficult, time consuming, boring or expensive. Make life easy with this collection of healthy recipes cookbooks. Good to Glow : feel good food / Tali Shine, Steph Adams. Superfoods Super Fast / by Michael van Straten & Barbara Griggs. Oh She Glows Every Day : quick and simply satisfying plant-based recipes / Angela Liddon. The Gut Makeover Recipe Book / Jeannette Hyde, nutritional therapist BSc. Spice Health Heroes / Natasha MacAller ; photography by Manja Wachsmuth. Healing Bone Broth Recipes : incredibly flavorful dishes that nourish your body the old-fashioned way / Sharon Brown, with Reb Brown. The Wholefood Pantry : change the way you cook with 175 healthy toolbox recipes / Amber Rose. Super Foods & Power Juices / editorial & food director, Pamela Clark. 100 Days of Real Food : fast & fabulous : the easy and delicious way to cut out processed food / Lisa Leake. Enjoy some delightful recipes and cooking techniques and discover some gorgeous designs for knitting and quilting. 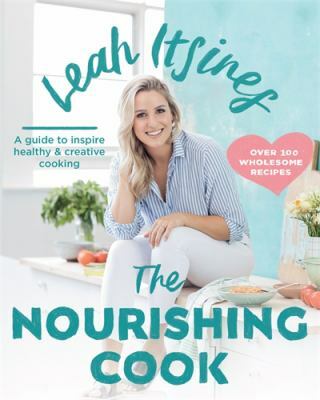 Use clever ways to overcome stress and fear, regain good health and avoid pain with some great ideas found in the latest library arrivals, including new books about cooking, crafts, health and personal development. Take a look at the ones we have chosen for you, and have a happy and healthy holiday season! Malaysia : recipes from a family kitchen / Ping Coombes. Preparing for the festive season? This selection of recent cookbooks should help. Celebrating Christmas / editorial and food director, Pamela Clark. Festive food & menu for a stress-free Christmas. A Banquet on a Budget / Judy Ridgway. Forest Feast : simple vegetarian recipes from my cabin in the woods / Erin Gleeson. How to Celebrate Everything : recipes and rituals for birthdays, holidays, family dinners, and every day in between / Jenny Rosenstrach ; photography by Chelsea Cavanaugh ; food styling by Victoria Granof. Kathryn at Home : a guide to simple entertaining / Kathryn M. Ireland with Ithaka Roddam. The Great British Bake Off : children’s party cakes & bakes : 70 recipes for a perfect children’s party / Annie Rigg. Outdoors : simple delicious food for barbecues, spits, and open fires / Jeremy Schmid ; photography by Devin Hart. The Dinner Ladies / Sophie Gilliatt, Katherine Westwood. Simple, easy to make, effortless, flavoursome, healthy recipes for everyday. Scrumptious / Chelsea Winter ; photography by Tam West. Flavour : Eat What You Love / Ruby Tandoh. Fresh India : 130 quick, easy and delicious vegetarian recipes for every day / Meera Sodha ; photography by David Loftus. The London Cookbook : recipes from the restaurants, cafes, and hole-in-the-wall gems of a modern city / Aleksandra Crapanzano ; photography by Sang An. The Power of Flour : the deliciously versatile world of flour in baking and cooking fluten-free / Rowie Dillon. My Green Kitchen : nourishing food for New Zealanders / Neena Truscott & Belinda MacDonald. Run Fast, Eat Slow : nourishing recipes for athletes / Shalane Flanagan and Elyse Kopecky ; photography by Alan Weiner. Flavours of Victoria : 125 restaurants, wineries & producers with their signature recipes / edited by Penny Cordner ; photography, Katie Wilton, Kevin Li, Bianca White. The Essential Edible Pharmacy : heal yourself from the inside out / Sophie Manolas. The Healthy Model Cookbook / Sarah Todd ; photography by John Laurie. Mammissima : family cooking from a modern Italian mamma / Elisabetta Minervini. L.A. Son : My Life, My City, My Food / Roy Choi ; with Tien Nguyen and Natasha Phan ; photographs by Bobby Fisher. Flavours of Urban Melbourne : 120 favourite restaurants, bars & cafes with their signature recipes / edited by Penny Cordner. Danish Cooking and Baking Traditions / Arthur L. Meyer ; illustrations by John A. Wilson. Falafel for Breakfast : modern Middle Eastern recipes for any time of the day from Kepos Street Kitchen / Michael Rantissi & Kristy Frawley. Vietnamese Street Food / Tracey Lister and Andreas Pohl ; photography by Michael Fountoulakis. East London Food / written and compiled by Rosie Birkett ; photography by Helen Cathcart. Simply Spice : homemade Indian vegetarian food / Raji Sharma. East : culinary adventures in Southeast Asia / Leanne Kitchen & Antony Suvalko.